Kwesé will host a Hearthstone Fireside Gathering at the RUSH eSports event from 21-23 July, with R30,000 up for grabs. Samsung has partnered with local eSports studio Mettlestate to host a R1-million gaming tournament in South Africa. Mega8 is hosting a R50,000 Summer Invitational Dota 2 tournament ahead of its local competitive gaming platform. Microsoft has announced Arena for Xbox Live, bringing custom tournaments to Windows 10 and Xbox One. Telkom has awarded R1 million in prize money to the finalists of the DGL Masters Final. MyGaming caught up with Paul “ReDeYe” Chaloner to get his perspective on South African eSports and competitive gaming. Orena and ASUS Republic of Gamers have partnered to announce the ROG Carnage Cup. Bravado Gaming has emerged victorious from the Evetech Champions League finals, claiming the grand prize of R75,000. MyGaming caught up with one of South Africa’s top Dota 2 players to find out what it takes to become a professional gamer. 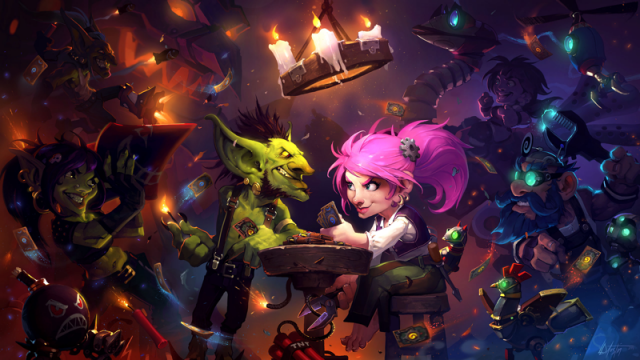 The second Hearthstone preliminary is coming to Johannesburg, featuring tournaments, cosplay, and cash prizes. The Dota 2 International begins next, boasting the biggest eSports prize pool of all time. The Dota 2 DGL Masters Series has concluded, with Bravado Gaming emerging victorious from the Grand Finals. The Telkom DGL Masters Series kicks off today, featuring the best Dota 2 teams in South Africa playing for R100,000. In a move to introduce alternative content into its cinemas, Ster-Kinekor Theatres has partnered with Telkom to live-stream the biggest eSports tournament in Africa. The Evetech Champions League Counter-Strike: Global Offensive competition has been unveiled, featuring a prize pool of R150,000. ICON 2016, South Africa’s longest-running comics and games convention, kicks off this weekend. Orena has announced the Overwatch Champions Ladder, a three-season local Overwatch tournament with a total prize pool of R30,000. Mind Sports South Africa’s National School Championships will take place on 30 – 31 July 2016. The Electronic and Gaming Expo will arrive in Cape Town at the end of July , and will feature a new level of competitive tournaments. Overwatch could allow South African gamers to compete on a global scale.